Hi there. This is Samantha: Mommy's crafty little "Mini-Me". 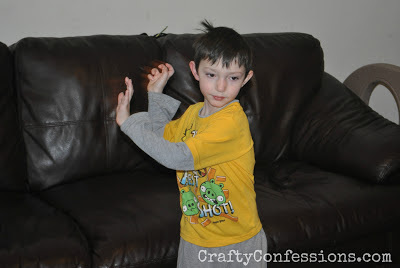 I love that my mom has a blog because it gives us the chance to do lots of fun stuff like review fun games. Last week we got Just Dance Disney Party for our XBox Kinect. Just Dance Disney Party has songs from some of our favorite movies like "Beauty and the Beast", "The Little Mermaid", "Tinkerbell", and "The Jungle Book". It also has songs from our favorite Disney Channel shows like "A.N.T. Farm", "Jessie", and my favorite: "Shake It Up". 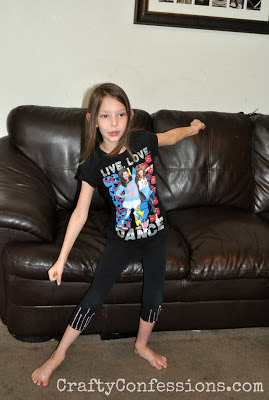 I even wore my Shake It Up shirt to dance along! Here I am channeling my inner CeCe in my Shake It Up shirt. This is my brother Dax. He bumps into me a lot, but he is getting better. 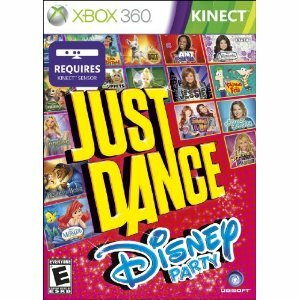 To get your own copy of Just Dance Disney Party you can head over to Amazon.com or Toys R Us. Have fun and don't forget to dance like you have squirrels in your pants! تتألف مواقع الويب من مساحة تقهقر علوية متشابكة تشبه القمع تنطلق منها الخيوط الملتفة العمودية اللزجة إلى المرفقات الأرضية. يفضل Redback Spider القرب من ملاذ الإنس ، حيث يتم تشييد شبكات في مواقع محمية وجافة ، مثل بين الأحجار أو في الدفاتر أو الشجيرات أو أكوام المخلفات أو الحظائر أو المراحيض. العناكب Redback هي أدنى شيوعا في أشهر الشتاء.